When I first began pursuing freelance writing work, I didn’t quite know what I was doing; it was a new world for me. Being a skilled writer (at least I thought I was!). Having the ability to be convincing (this is important when you pitch). Being willing to put myself out there into uncharted territories. Having the ability to meet deadlines and juggle multiple projects. You also probably have skills from your work and personal life that help prepare you for a career like freelance writing. If you’re used to a typical job search that includes seeing a job posting, applying, and then going through an interview process, freelancing is not always like that. Depending on the situation, I’ve gotten hired after one email, after a phone call, or never even heard back. Sometimes the project you applied for gets cut, the editor moves elsewhere, or you just weren’t the right choice. 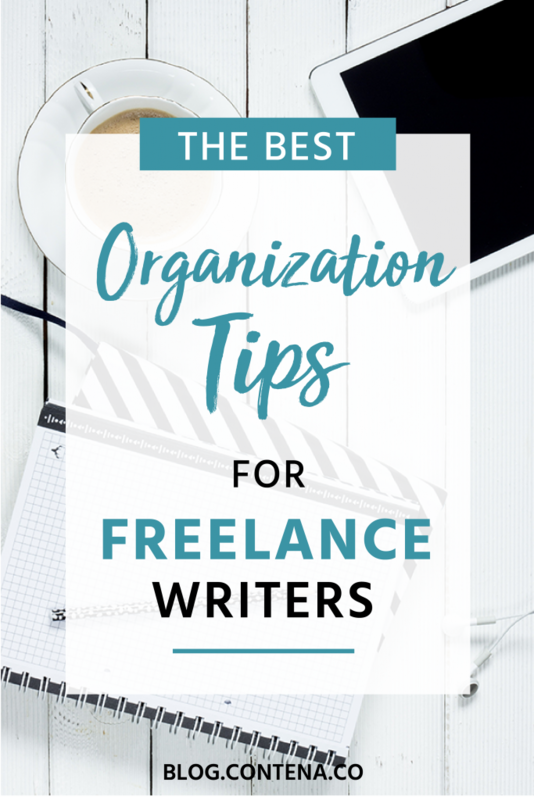 As I continued to pursue freelance work, and began to be hired, I realized very quickly that there are a lot of variables I can’t control as a freelance writer, but I can take control over my level of organization. I became very thankful that I had already developed the ability to be organized, but it took me a while to realize how critical this was to my success. When I started applying for freelance positions, I knew I needed a way to stay organized, even before I was hired by anyone. Having a plan for my daily freelance job search. Figuring out how to keep track of the jobs I applied to (Contena was a lifesaver and ended up saving me time as well as helping keep me organized). Knowing when I should be checking back in with leads and pitches. During your job search, you may be using sites like Contena, Craigslist, and LinkedIn; you’ll find projects to specifically apply for, as well as sites or brands you want to pitch stories to. Finding ways to stay organized in this process can be the difference between getting a job or not. If you lose track of where you saw a job, or when you applied (some jobs will have you apply through their site so you don’t always have an email record), then you don’t know when to follow-up, and you run the risk of missing an opportunity. Creating ways to stay organized during job search and application process will help set you up for good habits when you begin to be hired as a freelancer. Seeking out freelance work, applying, and following up is only part of the process of a freelance writer. All of this is done with the hope of getting hired. The nature of freelance work is generally that you’re often seeking work, completing the job(s), and then searching again. If you’re not prepared to juggle the job search along with multiple jobs and requirements for each, then you may not be hired again by the editors or project managers. Keep track of multiple deadlines. Remember the details specific to each job. Have a system for following up on payment if there were issues (without becoming obnoxious). Create a system for following up with those who had hired for one-time work. All of this can be a lot to manage, especially if you’re not someone who is organized to begin with. You can probably see how easily you can lose track of details that are very important. Without strong organization skills, you run the risk of missing deadlines, submitting articles that don’t meet the requirements, or delaying payment. Even with my ability to be organized, I realized I had to become even more-so since freelance writers have to work with many moving pieces. If you’re not an organized or detail-oriented person, then this is an area you may want to work on. A paper planner (yes, this is very early 2000s, but I’ve tried other systems and writing things in a calendar works for me!). I write down when articles are due, as well as note a week or two weeks prior to a deadline (or several days depending on the length of time I have before the post is due). I make notes about when I can expect payment or make a note on specific dates when I need to invoice certain clients. A whiteboard for deadlines, projects, and payments. I like seeing the most important tasks at a glance, so having a big picture view is helpful for me as I organize myself and my tasks for each day. Being a busy freelance writer is an exciting idea, but it can sometimes be tough to manage multiple projects, and seeing all the big deadlines together is helpful for me. Daily reminders on my computer for specific tasks. I use this to create a daily schedule. I’ll often look at the upcoming week and plan what needs to happen each day to meet deadlines. I’ll include personal and non-freelance tasks here as well. So, this is a bigger picture view of each day. This also allows me to move tasks from one day to the next as well. Google calendar is another option for this. Trello is an online, free platform, that uses boards to help you organize your projects and can be a great way to manage multiple articles and other tasks you have. You can set up deadlines, to-do lists for each project, and create multiple boards to organize yourself however you’d like. The bottom line is that as a freelance writer, you need to create systems that work for you. If you are unorganized, you run the risk of missing deadlines, providing a product that does not meet the requirements you were asked for, or not getting paid for your work. Though you may feel excited when you realize that there is money owed to you that you forgot about, the truth is that should already be in your account, working for you! It’s best to come up with systems at the start of your freelance career, rather than trying to get caught up once you get started, which is what I ended up doing. I’ve had a few times where I haven’t been as organized as I’d like; I’ve wasted time trying to find information that should have been easy to access, I’ve forgotten to follow up with people, and I’ve been unable to find listings that I wanted to apply for. I’ve missed out on opportunities because of this lack of organization, and this doesn’t sit well with me. However, I also believe that I have secured work due to being organized. I am a writer who meets deadlines (and often turns work in early) and provides articles that meet the requirements given to me. I follow up on details appropriately, and I have gotten feedback from editors that they appreciate my organization and ability to be detail-oriented. I’ve also worked as an editor and now a project manager who oversees content creation, working directly with freelance writers. I can 100% tell you that organization and follow up can be the difference between getting ongoing work or not. Even for someone who is very organized, when it comes to freelance writing, organization should not be overlooked. 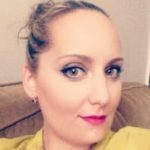 Because freelance writing is a unique career, it’s important that even when you know organization is a strength, that you use and adapt those skills so that they help you with your freelance career. And, if organization is an area you struggle with, don’t lose hope. Instead, create simple systems and processes. For example, bookmark your favorite job search sites like Contena, set aside time each day to look for work, create a spreadsheet where you document the jobs you’ve applied for, and another tab for jobs you’re hired for. Find a way to create reminders or alerts so that you can follow-up, stay on top of the jobs you’re hired for, and keep track of the payment you need to receive. Organization doesn’t need to be complicated – it needs to be something you can use and stick with. Take the time today to think about how you’re organized and what you might need to adjust so that you can be even more prepared for a successful freelance writing career.